Obituary for Laqueza A Jefferson | L.E. 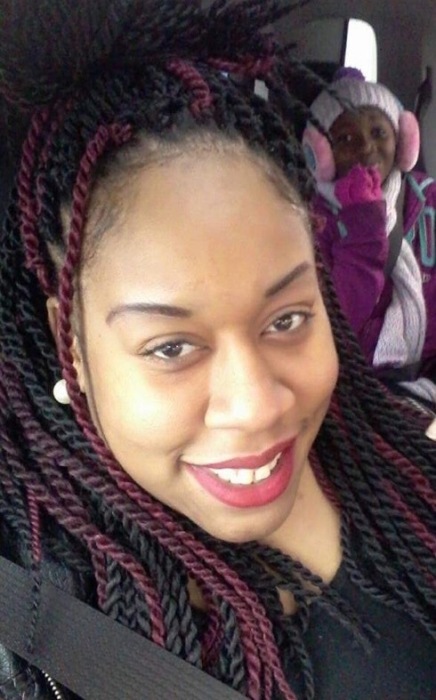 Black, Phillips & Holden Funeral Home Inc.
Memorial Services will be 2:00 p.m. on Wednesday, March 20, 2019 at the L. E. Black, Phillips & Holden Funeral Home for Ms. LaQueza A. Jefferson, 31, of Youngstown, who departed this life Sunday, March 10, 2019 at the Mercy Health St. Elizabeth Youngstown Health Center. Ms. Jefferson was born April 2, 1987 in Youngstown, a daughter of Latrice M. Jefferson. She was a 2005 graduate of The Rayen School and was employed as a nurses aide at New Leaf Residential Services. She attended New Birth Kimmelbrook Baptist Church. She enjoyed styling hair, doing makeup, cooking and being with her daughter and family. She leaves to forever cherish her memory, her mother, Latrice M. Jefferson of California; her daughter Kevaeh Henderson of Youngstown; her grandmother, Geraldine Thomas of California; an aunt, Rhonda Byrd of Youngtown; uncles, Shante’ Jefferson and Allen Thomas both of California; and a host of other aunts, uncles, family and friends. She was preceded in death by her grandfather, Larry Byrd; and great grandmother who help to rear her, Ramona Byrd.